The new Cycliq Fly6CE comes neatly and securely packed in a sleek and minimalist black box. 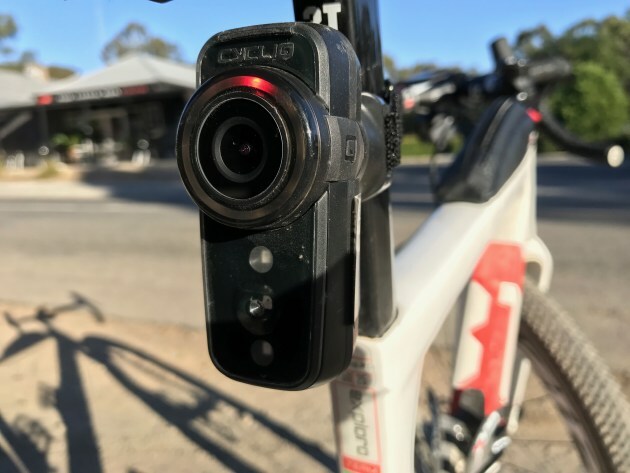 ‘Front and rear dash cams for your bike’ … That’s how Australian cycling safety innovators Cycliq describe the premise of their Fly12 and Fly 6 light / camera combo units. Late last year we heard the original front (Fly12) and rear (Fly6) would be replaced with the updated Fly12CE & Fly6CE, each unit smaller, lighter and more efficient, and would offer an extended range of hi-tech safety features. Whether staying local or planning a long-range adventure, a combined light/camera unit makes clear sense. Despite more black and less red on the visible face of the unit, two light modes - each with a variety of easily programable flash sequences - offer a stronger, brighter and safer output of up to 100 lumens. 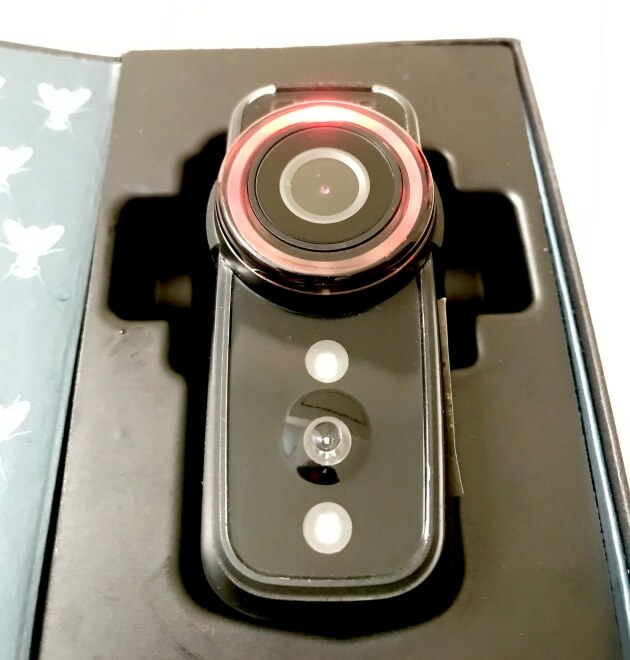 In hand, at 110grams the Fly 6 CE is 17g lighter than the previous model, and now features higher quality HD recording along with a wider angle 135 degree lens. Out of the box what we’ve got is an updated, more advanced and throughly updated rear safety light/ camera. We found it simple and straight forward to set up - it’s shipped with three seat tube rubber mount inserts (for different shaped seat tubes) along with two velcro securing straps (short and long). Feed the velcro through the 1/8-turn quick release mount, select the rubber mounting insert that best fits your seat post, securely tighten the velcro strap around your seat post, and you're away. Of course first you’ll need to fully charge the unit, plus install a micro SD card (the bigger in capacity the better). While giving the unit that first charge, download the free and updated ‘Cycliq Plus’ app. Via the app you can register your unit by either scanning the QR code on the side of the device or inputing the serial number. Connected by Bluetooth, once paired you can adjust settings and features via the app. Via swipes of your phone screen you can easily change all recording settings, light modes, access Cycliq’s video editing feature, read the FAQ’s and contact support. Also included in the app is an alarm mode. Inadvertently switching this on while going through the various modes during a break on a first ride, I was surprised to hear my iPhone’s (very loud) wake up alarm start squawking. This startling sound went off as soon as I started wheeling the bike away from a cafe stop. At this point the lights flash and the unit starts recording - an innovative and handy feature - one definitely worth swiping upon each time you stop. 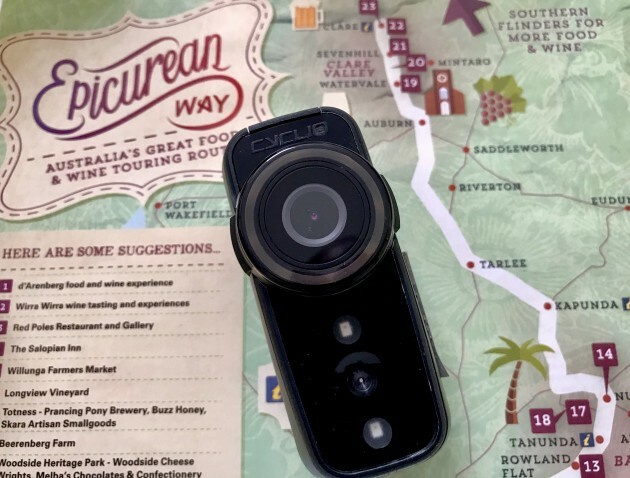 The Cycliq Fly6CE fitted to our test bike in the Clare Valley, South Australia. Image: Nat Bromhead. On a longer all day ride I checked the app screen around 4pm and was told the unit was in ‘Home Safe’ battery mode. This feature kicks in if the battery drops below 5% during use. The video recording will turn off to save battery power but the light will continue to function for up to 1.5 hours thus help the rider get home safely. 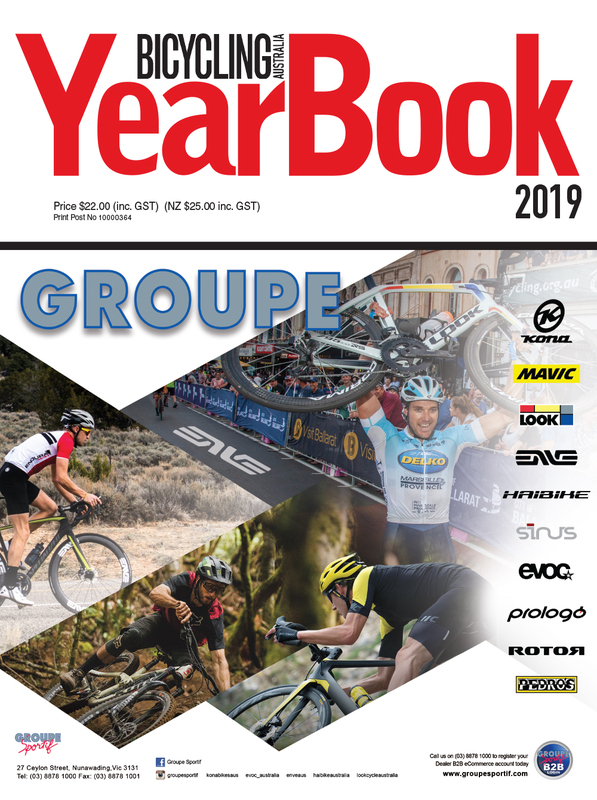 HD looping video with quality audio and automatic incident footage preservation are key features of the new model, with 1080p HD video at 60 frames per second and 6-axis stabilisation for significantly smoother output. In use we were genuinely impressed with the Fly6CE - while considered an absolute ‘must have’ for any ride - whether down to the shops or a long distance 200km weekend loop - there are a couple of very minor niggles with the upgraded unit. These, for us at least, are the on /off and function / intensity buttons alongside the lens - they could have a more positive action. We also found the top rubber flap (covering the charging port and memory card slot) to be a little tricky to lock back into the closed (fully weather sealed) position. 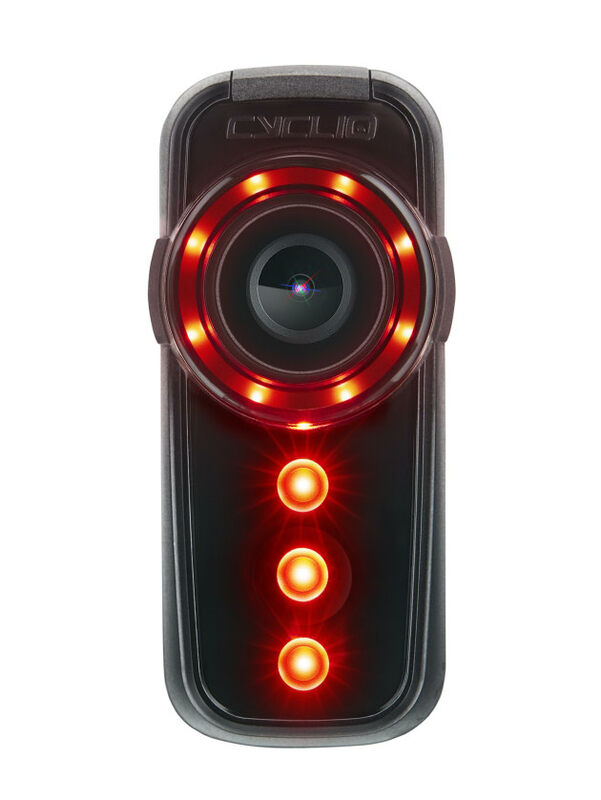 Cycliq remain ever active in the cycling safety sphere, the Perth-based company making it abundantly clear that as well as providing the world's best front and rear camera lights, they’re passionate about safety, awareness and advocacy. We’re living (and cycling) in an age of ever-increasing traffic, more potential danger, haste, rush, urgency and sadly, less perceived awareness of others. 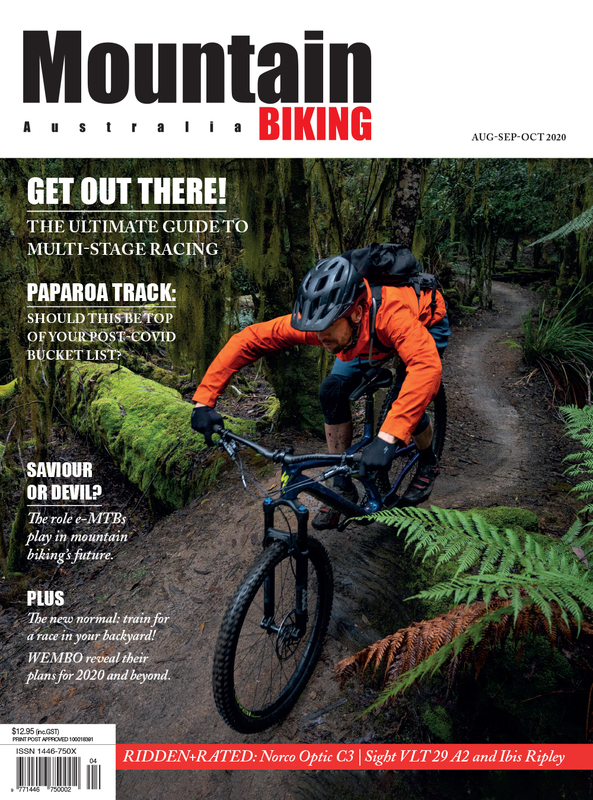 We’re faced with the very real need for more to turn to cycling as an alternate form of transport, and with that in mind it seems an absolute no brainer that all bikes should be fitted with front and rear lighting and trip or incident recording technology. 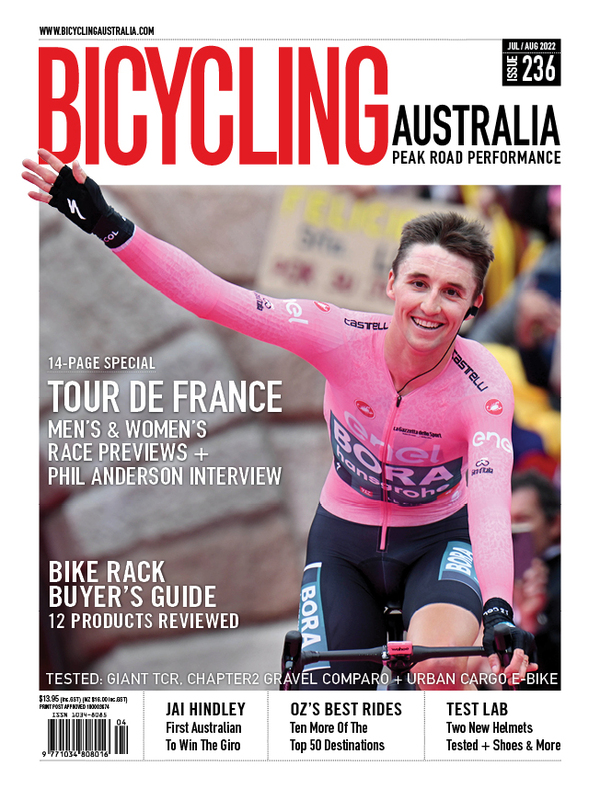 The two recent upgrades from this Aussie innovator perfectly fit the bill - Kudos, Cycliq, a very impressive upgrade. The charging cable connector is USB C which is reversible - a wise upgrade. Compared to the original Fly6, image quality is light years ahead, the app integration makes for a far simpler user experience. A far sleeker, more ‘on trend’ design. The addition of a security tether. Major improvements to image quality - number plates now clearly readable / recognisable. Improved and more secure mounting system. USB-C charging / data transfer connector. CE ‘Connected Edition’ means the unit features ANT+ protocol - compatible bike computers can control the Fly6CE. On/Off switch works perfect well though a little fiddly and could be more positive.